Steep with predominantly thin hand jams, Catchy is a great climb to push your level. 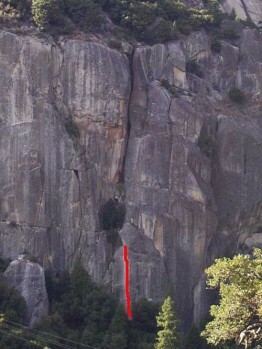 Good technique and stemming leads to a one-move crux at the top. Perfect fingerlocks let you contemplate the five-foot crux and a jug rewards going for it. Which SuperTopo guidebooks include a topo for Catchy?